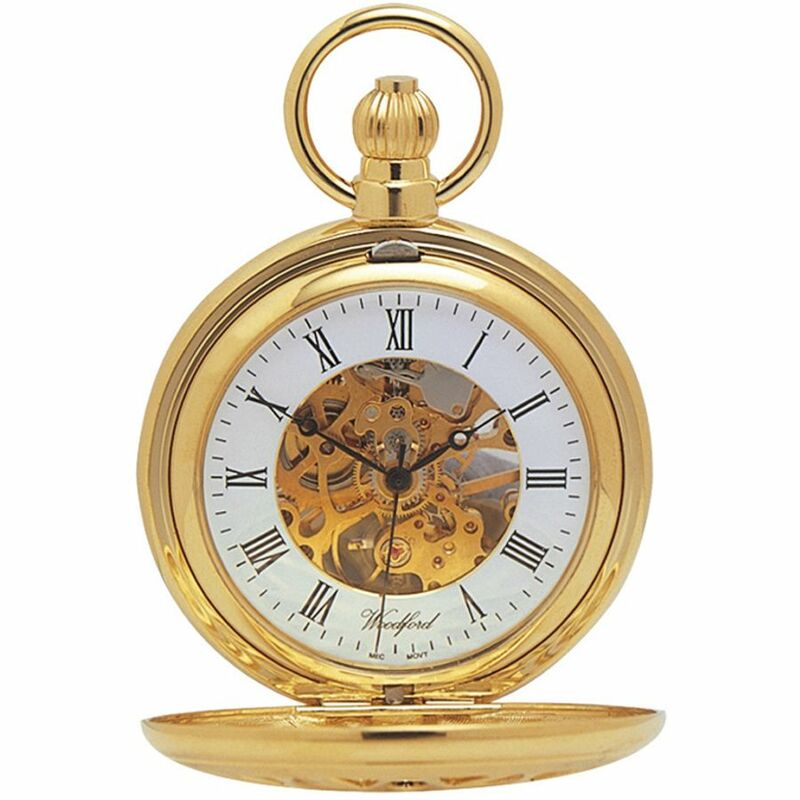 Woodford Chrome Plated Mechanical Half Hunter Pocket watch 1021 features a gold plated cut out case with Skeleton, Roman dial. 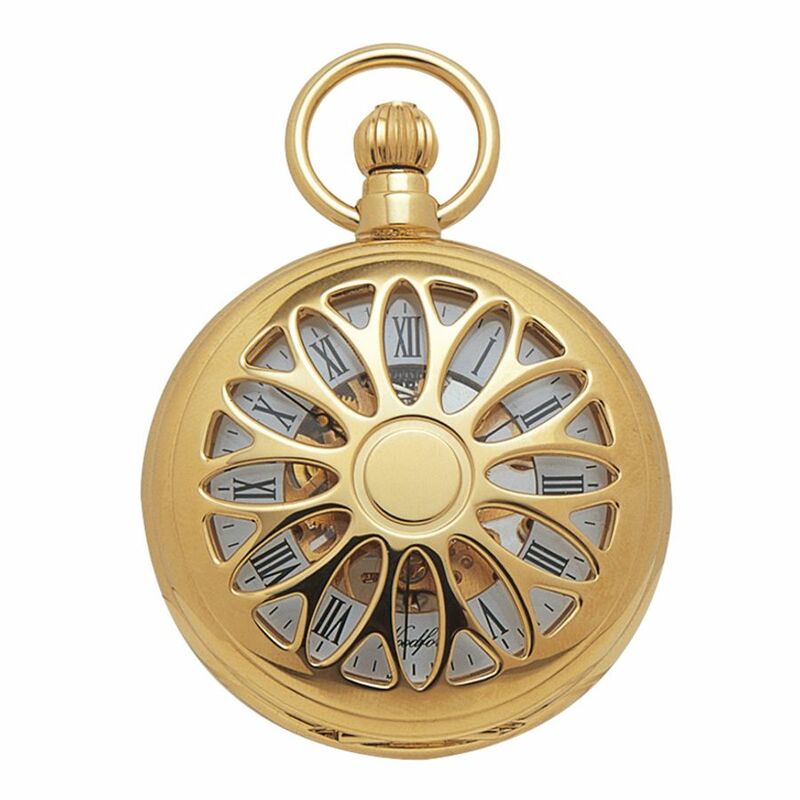 This pocket watch comes with a gold chain. Timepieces Direct are authorised Woodford Watch and Clock stockists. All our watches are supplied with a 1 year warranty and we offer free UK delivery. The Case features a plain back suitable for engraving; please either phone or email with your requirements.